"I don't know what's going to happen there. It's really up to them because obviously now they're owned by Disney. My sense is that we don't know much about it for a while they debate whatever they're debating. I don't know enough about their plans really to have any point of view. They like our script." As a massive fan of the original Die Hard I'm on the fence regarding yet another entry. The most recent entry in the series was A Good Day to Die Hard directed by John Moore (Behind Enemy Lines, The Omen remake). That movie was not good by any stretch of the imagination so I'm having a spot of trouble trying to find enthusiasm for another go with McClane and his family. But that said, I'm an eternal optimist when it comes to the franchise, so I'll take the possibility of another ho-hum entry if it means taking the risk that we get something truly badass. Keep McClane rated R (I'm looking at you Live Free or Die Hard) and make sure to cast the young McClane right (I'm looking at you, Jai Courtney). I'm thinking - in keeping with John McClane's everyman quality he sported in the original film - let's go with someone like John Krasinski this time around. I know Krasinski has become an action star in his own right in recent fare such as Amazon's Jack Ryan series, but let's have him channel some of that good old Jim from The Office everyman charm and go from there. Sound good to everyone else? Sweet. Let's move on. To keep us all up to date, the last bits of news we've heard regarding this Die Hard sequel/prequel McClane was that Tobey Maguire (yes, that Tobey Maguire) had joined the production team in late Summer 2018 and that Wiseman was still casting for a young version of John McClane. 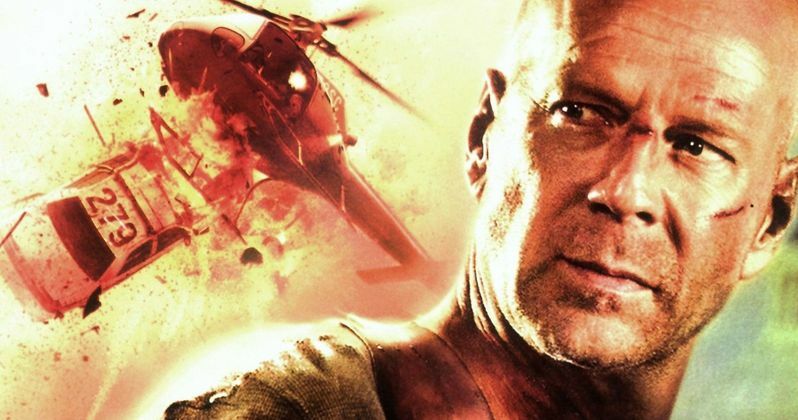 On top of that, Live Free or Die Hard and A Good Day to Die Hard actress Mary Elizabeth Winstead (Scott Pilgrim vs. the World) said that she would be interested in returning as McClane and Holly's daughter Lucy in a future installment. I guess we'll have to see what shakes free on this new Die Hard movie as time goes on. This update comes to us via SlashFilm.